Many of our products are available year round, but some are seasonal. Contact us to find out what's currently available. We pack all of our products in glass. We accept bottle returns so that the glass can be recycled. 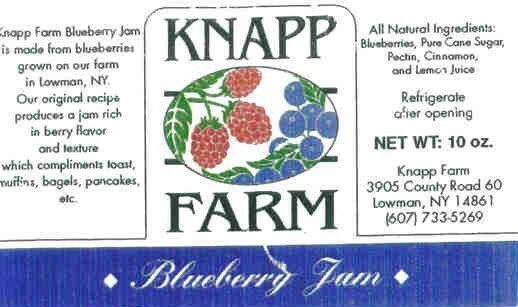 Our standard jam size is 9oz, but we also pack certain products in 6 oz, 4 oz, and 1.5 oz jars upon request. Contact us for more information on ordering these sizes. Juice products come either 1qt size (32 oz) or 6.5 oz. We prefer not to ship quart bottles of juice due to the weight and potential breakage in transit. Prices for shipping juice will be quoted upon request. 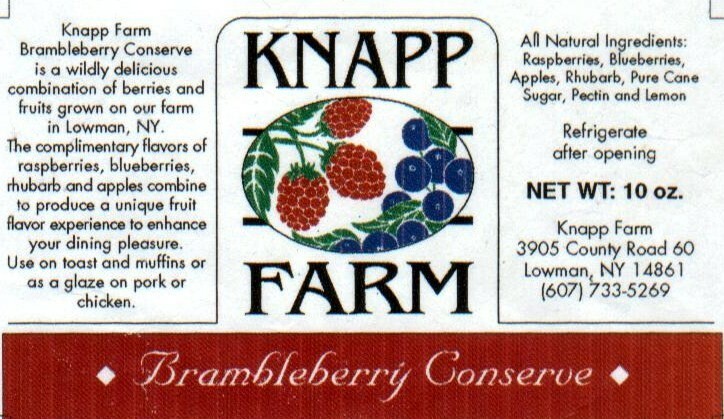 Brambleberry is a combination of raspberries, blueberries, apples, and rhubarb. A sure favorite for all tastes. 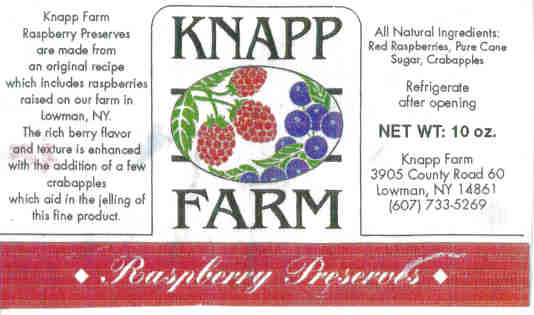 Ingredients: Raspberries, blueberries, apples, rhubarb, pure cane sugar, pectin, lemon juice. 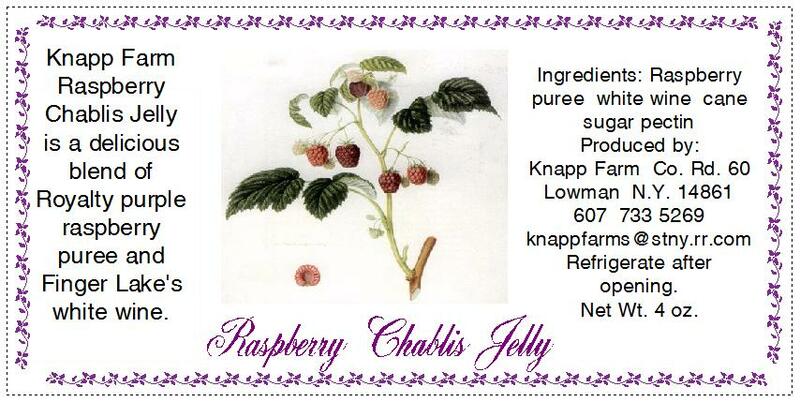 Ingredients: Red Raspberries, Pure cane sugar, pectin. Tastes just like blueberry pie! 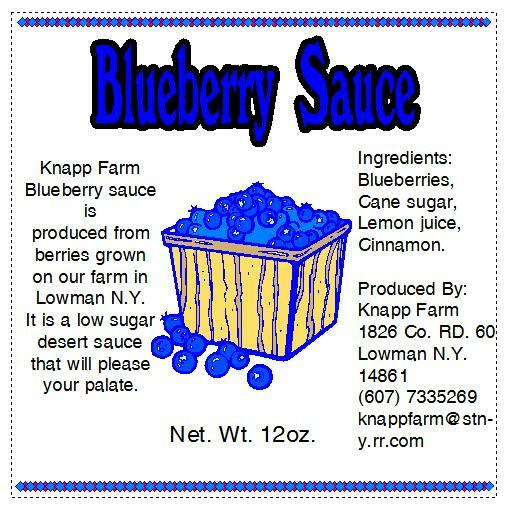 Ingredients: Blueberries, pure cane sugar, pectin, cinnamon, lemon juice. A delicious spring blend of sweet strawberries and tart rhubarb. Try it on toast or bagels. 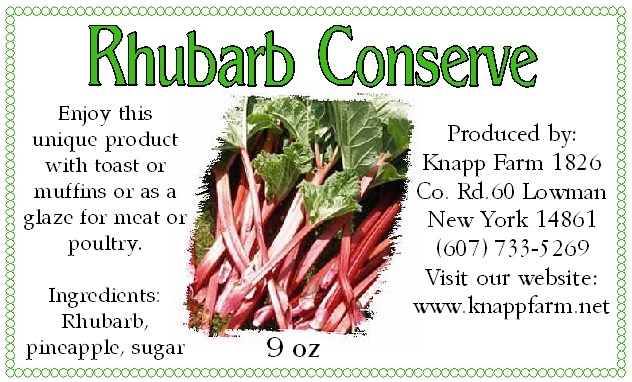 Ingredients: Strawberries, rhubarb, pure cane sugar, pectin. Tastes just like a cherry pie. 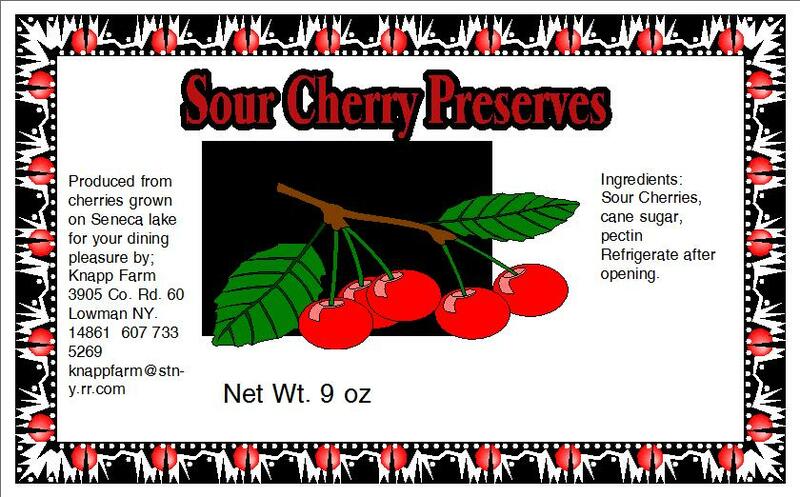 Ingredients: Sour cherries, cane sugar, pectin. 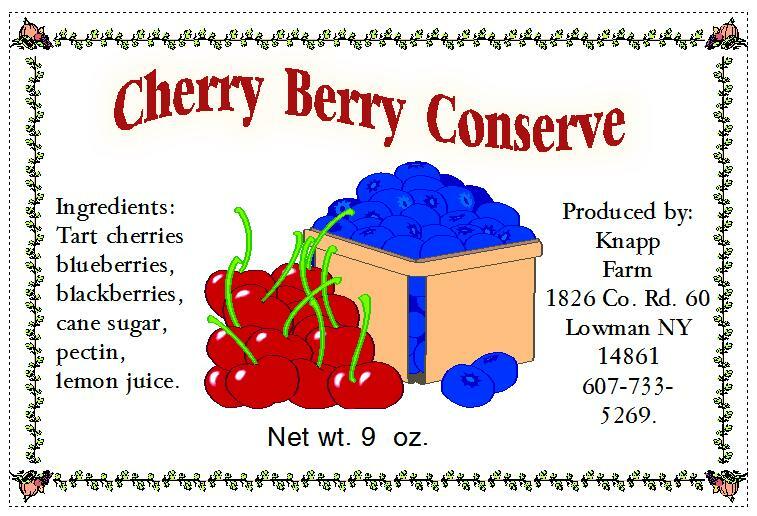 This conserve delivers a big dose of antioxidants to keep you healthy. 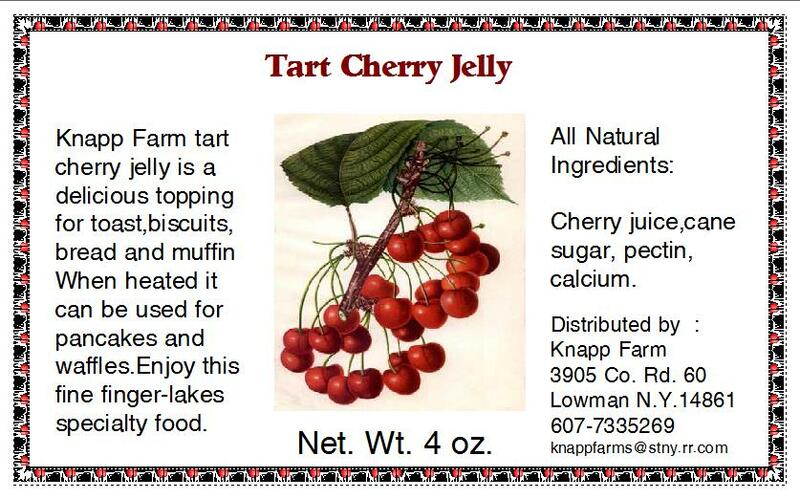 Ingredients: Tart cherries, blueberries, blackberries, cane sugar, pectin, lemon juice. 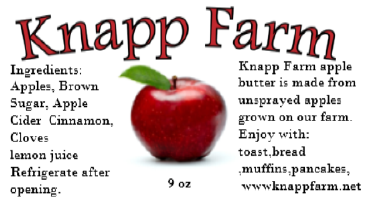 Ingredients: Apples, Brown Sugar, Apple Cider, Cinnamon, Cloves, Lemon Juice. Apple butter with no sweetener added. 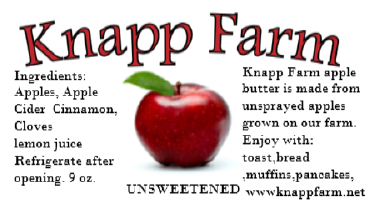 Ingredients: Apples, Apple Cider, Cinnamon, Cloves, Lemon Juice . A unique blend of tart rhubarb and pinapple. 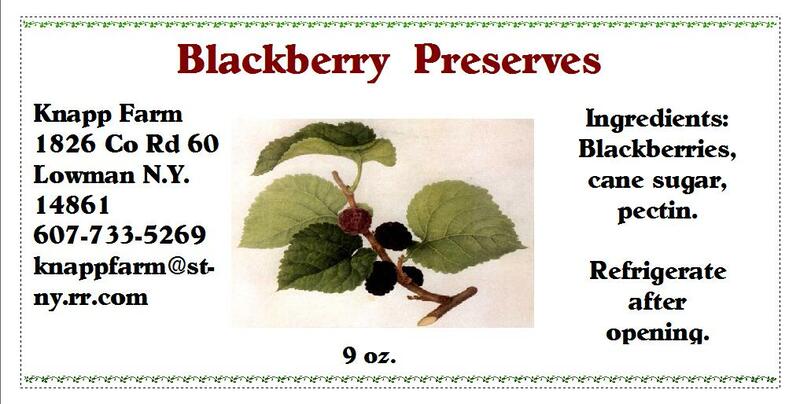 Ingredients: Blackberries, cane sugar, pectin. 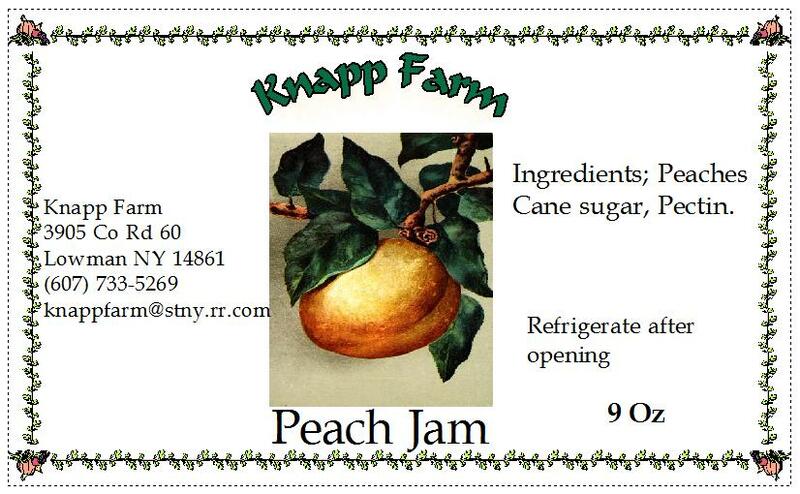 Ingredients: Peaches, cane sugar, pectin. A unique, healthy cherry beverage. No sugar added! 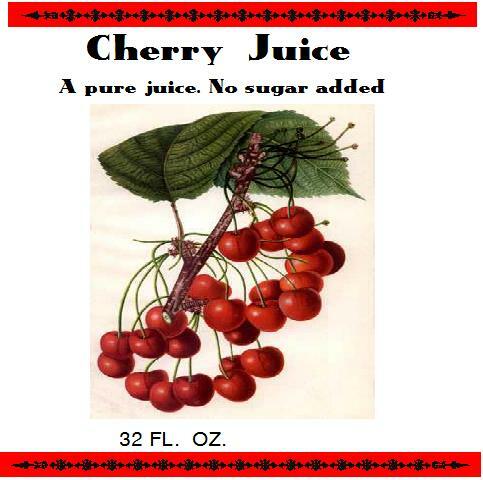 Cherry Juice is high in antioxidants and contains natural anti-inflammatory agents. Due to the weight of large cherry juice bottles, we can ship a maximum of six bottles per package. Larger orders will be broken into multiple shipments and extra shipping will be charged. 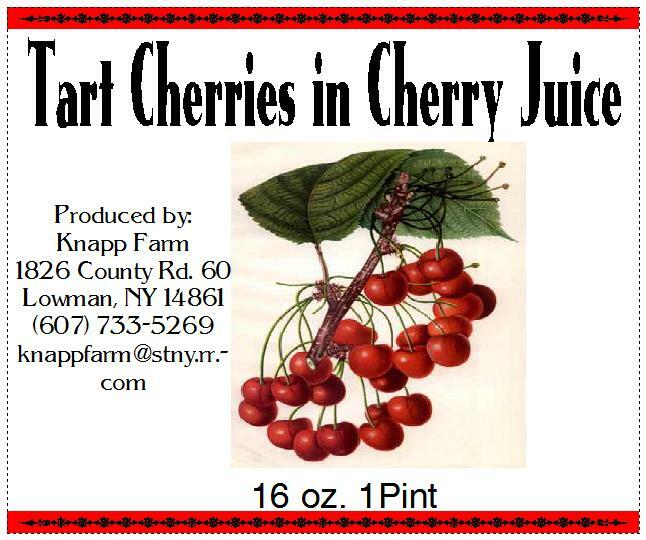 Packed in nothing but their own juice, these cherries are great for pies or as a healthy snack. Ingredients: Tart cherries, cherry juice. 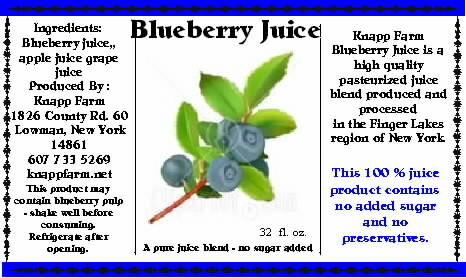 100% pure juice - 90% blueberry juice with a touch of grape and apple juices for balance. Our delicious cherry juice gelled with a bit of sugar to make an elegant spread. Ingredients: Cherry juice, cane sugar, pectin. Ingredients: Raspberry puree, white wine, cane sugar, pectin. A medium to hot salsa made from ingredients grown in the Finger Lakes region. The label was designed by local graphic arts students. Ingredients: Tomatoes, onions, tomatillos, cider vinegar jalapeno peppers, cilantro, basil, garlic, spices, salt. 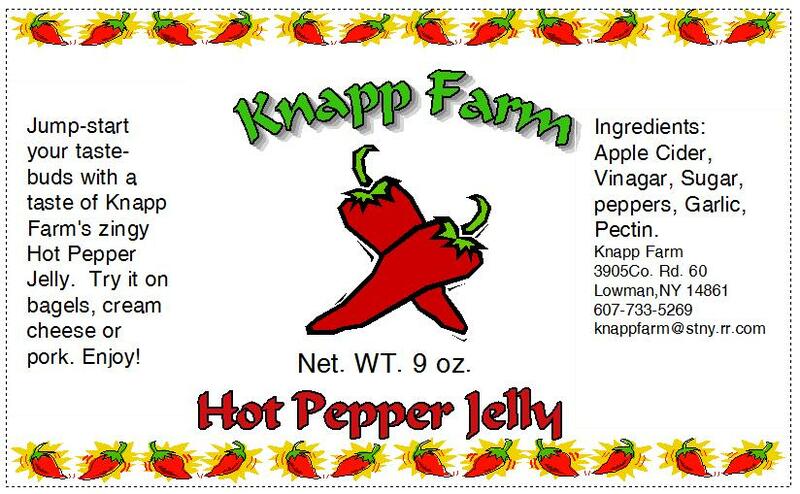 Ingredients: Apple cider, vinegar, cane sugar, peppers, garlic, pectin. This spicy spread is a nice complement to pork or chicken. Also can be used to make party snacks with cream cheese and crackers. 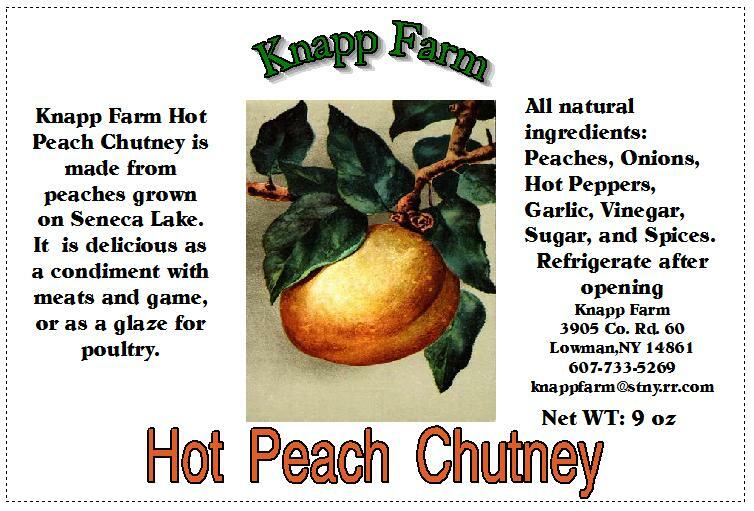 Ingredients: Peaches, onions, hot peppers, garlic, vinegar, sugar, and spices. This sauce tastes great over pancakes, waffles, pound cake or ice cream. Ingredients: Blueberries, cane sugar, lemon juice, cinnamon.